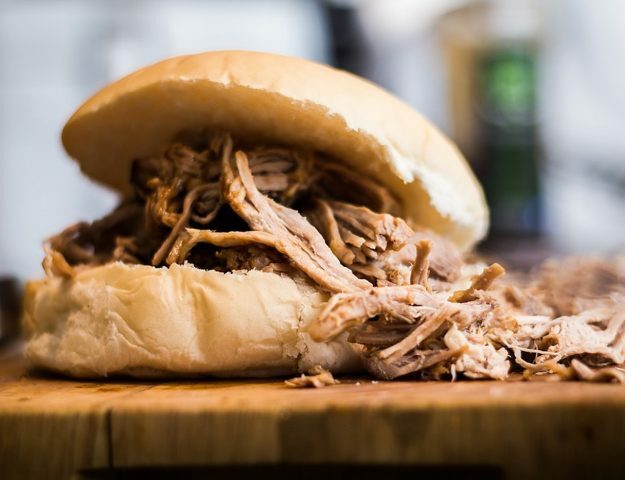 This super versatile slow cooker pulled pork recipe is super easy – it takes less than 5 minutes to throw the ingredients into a slow cooker. Perfect flavour balance with just the right amount of seasoning. If your freezer is ready for you to fill with delicious food, this is a delicious batch cooking freezer friendly recipe that’s just perfect for making ahead. The benefits of batch cooking include saving money, wasting less food and spending more time in the evenings with your family. This way, you can always have a meal waiting for you at the end of the day. It’s a great way to make weeknight cooking manageable. I hope you enjoy this recipe! It’s a staple in our house. I make it often to have on standby in the freezer and it’s also fabulous for entertaining. Rinse and dry the pork shoulder, rub in salt and pepper. Combine the seasoning ingredients then rub all over the pork. Place the pork in a slow cooker, top with the onion, jalapeño, minced garlic and squeeze over the juice of the orange. Cook on low for 8 to 10 hours or on high for 6 hours. The meat should be tender and falling off the bone. Remove from the slow cooker and let cool slightly. Then shred the pork using two forks. Skim off the fat from the juices remaining in the slow cooker and discard the fat. If you are left with a lot more than 450ml of juice, reduce it. This will be the seasoning for the slow cooker pulled pork. Set aside. 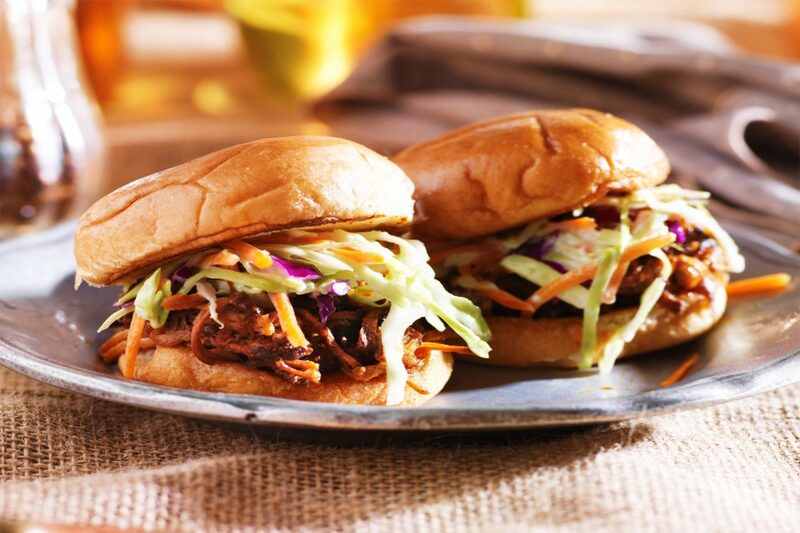 Pour the juices over the pulled pork (pre-browning) and store in airtight containers. Freeze in small batches for convenience. To use, defrost completely before following the recipe to brown the pork. Heat 2 tbsp of oil in a large non stick pan. Place shredded pork into the pan, drizzle over some of the juices. Wait until the juices evaporate and the bottom side is golden brown. Turn and just briefly sear the other side – you don’t want to make it brown all over because then it’s too crispy. Repeat in batches and don’t overload the pan. Remove meat, drizzle over more juices and serve immediately. 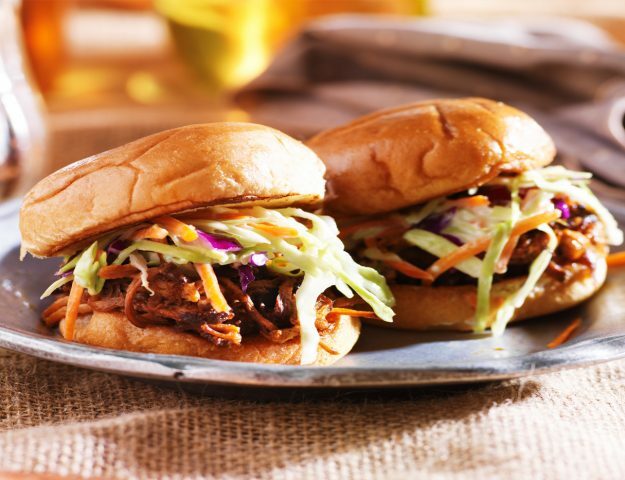 If you are reheating the pulled pork, then flip and cook the other side briefly just to warm through. I really recommend only making one side crispy and leaving the other side juicy, to get the perfect combination of crunchy brown bits whilst keeping the inside super moist. Adding this to my list of slow cooker recipes to make. Love that it freezes well as there are only two of us at home now. This looks amazing! I have my slow cooker on at the moment, it comes into its own this time of year!